Check Out How You Compare To Mr. And Mrs. Average! Home Post Check Out How You Compare To Mr. And Mrs. Average! Here I am starting on another detox in order to lead a healthier lifestyle – even if only for a month – no matter what I do, it doesn’t seem to have an effect, especially when a pint is placed in front of me. Maybe it’s just down to age, maybe it’s down to the recent need for a boat load of blood tests I needed… the good news is I am fine and as healthy as an Ox! It had just been a while since I let the vultures take any of the red stuff… I am no good with needles and will make any excuse to keep my arms to myself. 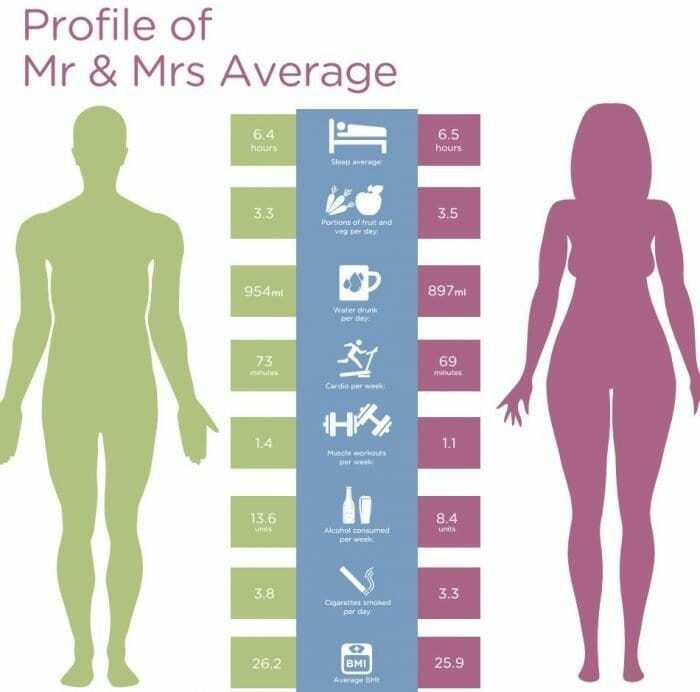 The recent results of The benenden National Health Report 2014 proved quite interesting and a comparison tool has been set up to pit yourself against Mr. and Mrs. Average in the health and lifestyle stakes. According to the tool men get slightly less sleep than women – I am sure most mums out there would wholly disagree with that finding! Going off the comparison though, as expected I am slightly worse than Mrs. Average, which in essence is totally in keeping with my whole demeanour and personality… I was never destined to be a wallflower or Ms. Average… so go on, I dare you… go and have a look and see how you compare! Coffee… The Best Wake Up Cure! I am interested and scared to look all the same.